Silence. 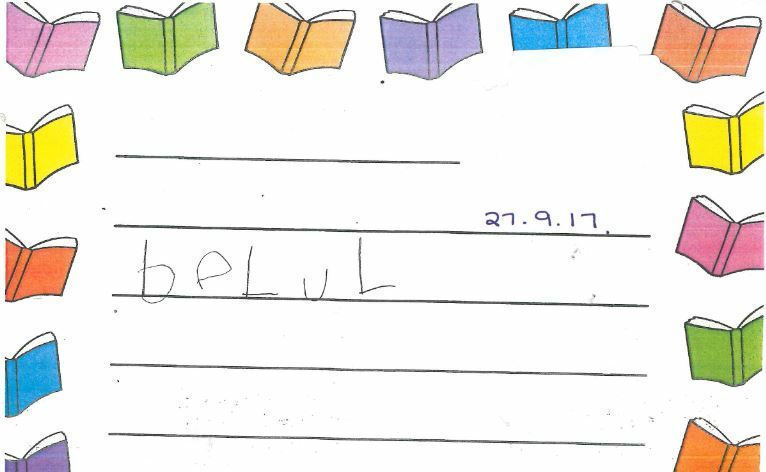 That was the quality that characterised five-year-old Ellesha when she first joined the Literacy Lab in September 2017. Since then, she has made exceptional progress, not only in reading, writing, speaking, and listening, but also in the crucial area of confidence, as her tutor Ellie explains. 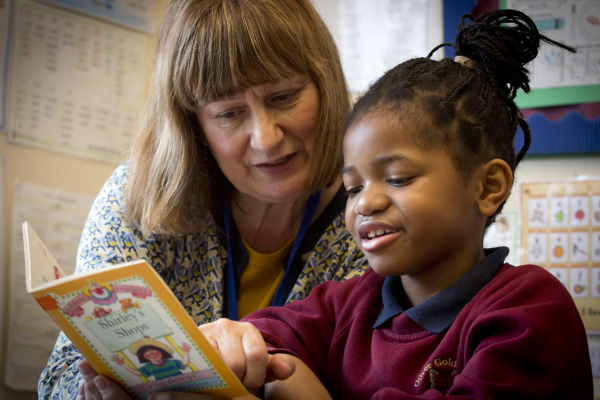 When Ellesha first started, she was struggling with almost all aspects of literacy. She was able to write her name and a few letters, and knew a handful of common words, but she was unable to identify most of the phonic sounds that are the building blocks of early reading , and she did not register a reading age in our initial assessments. Perhaps more importantly than this, Ellesha was painfully shy – reluctant to speak, and almost inaudible when she did so. 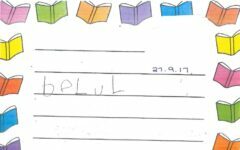 After one term Ellesha remained quiet and withdrawn, but she was getting settled in the Literacy Lab and starting to show key signs of progress. By Christmas she was able to read low level books, and her comprehension was excellent. However, her writing consisted of strings of letters with few recognisable words. Over the next two terms Ellesha’s progress remained slow but steady. She is an exceptionally diligent student, and although she needs lots of time to process ideas, she works hard to understand and retain what she is taught. Her reading level increased slightly and she began to expand her pool of recognisable words (for example, ‘mine’, ‘dad’, and ‘eat’). She was also using her knowledge of sounds to attempt harder words like ‘cumin’ (coming) and ‘grdn’ (garden). 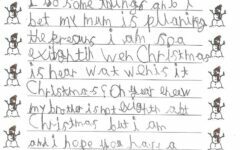 By the summer she was writing with a good cursive script, and able to articulate her enjoyment in ‘getign ice cream.’ At this point her mum expressed concern that Ellesha was still very shy, and we reassured her that her daughter’s confidence was growing with each session. It was in the fifth term, after the summer holidays, that Ellesha really began to flourish, and all the hard work of the past year paid off. Her reading suddenly accelerated to a level appropriate to her age, and she began to write sequences of sentences in a neat, clear script, spelling well, and attempting difficult words like ‘exciting.’ When we discussed the word ‘be’ Ellesha told me that she would like to be a ballerina when she grows up because, “It would be fun and I want funness.” Ellesha’s sense of fun became increasingly evident as the term progressed. Most impressively of all, Ellesha became increasingly chatty and confident, volunteering information about her activities and reading at home. She told me she had learnt an interesting fact about Christopher Columbus, and it became clear that Ellesha was absorbing knowledge on all sides. Her answers were thoughtful and well-informed. When she was asked to name a sea creature bigger than a whale, she paused for a while and then replied ‘angler fish.’ She may have been wrong about the size, but the answer shows the depth and specificity of her learning. 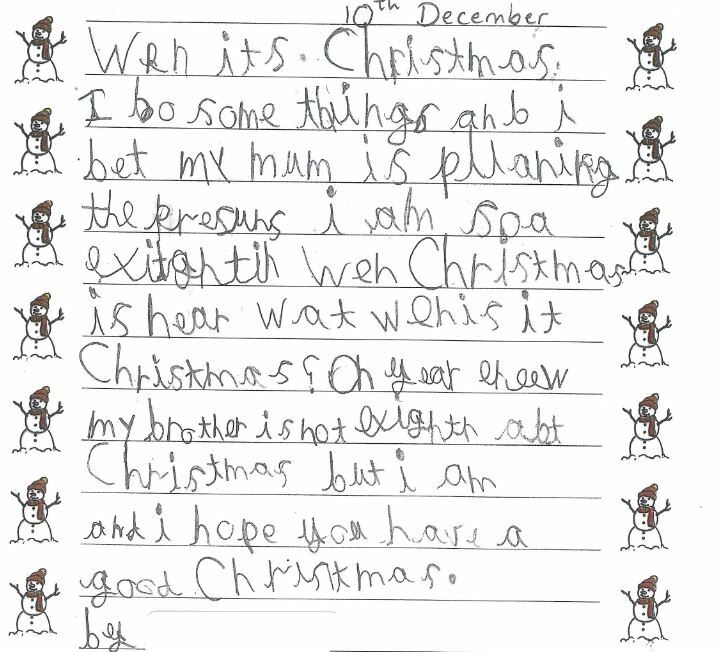 Discover the 10 ingredients behind our Literacy Labs (including confidence-building) that make them a success for children like Ellesha.